As you know we are on a donut kick this week, well every week really! So you've got some inspiration to start planning your party and invites to send out but now you need a DIY, right!?! Well, don't worry friends, we've got you covered! 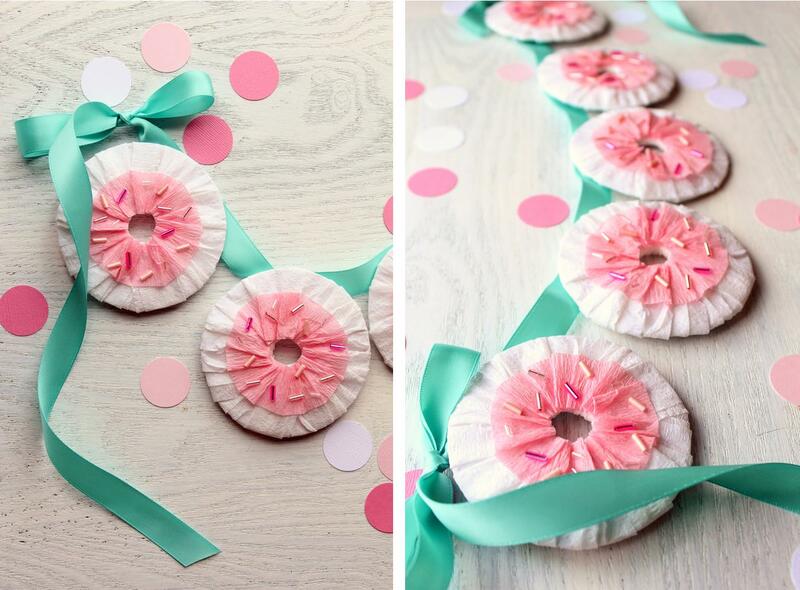 This simple donut garland should do the trick! 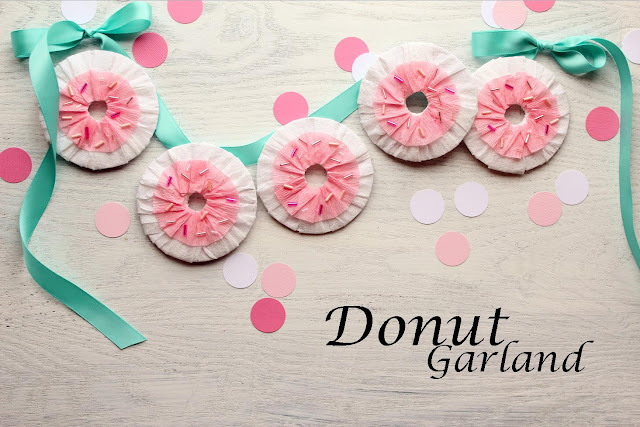 You will not believe how easy these sprinkled 'donuts' are to make and how fast this garland comes together! 1. 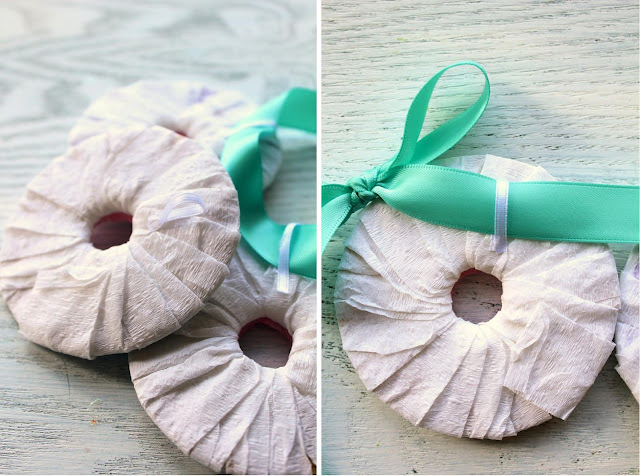 Take your white crepe paper and simply wrap your ribbon spool top with it until it is covered. You may want to add a few dabs of glue here and there to secure the paper-especially at the beginning and end. 2. 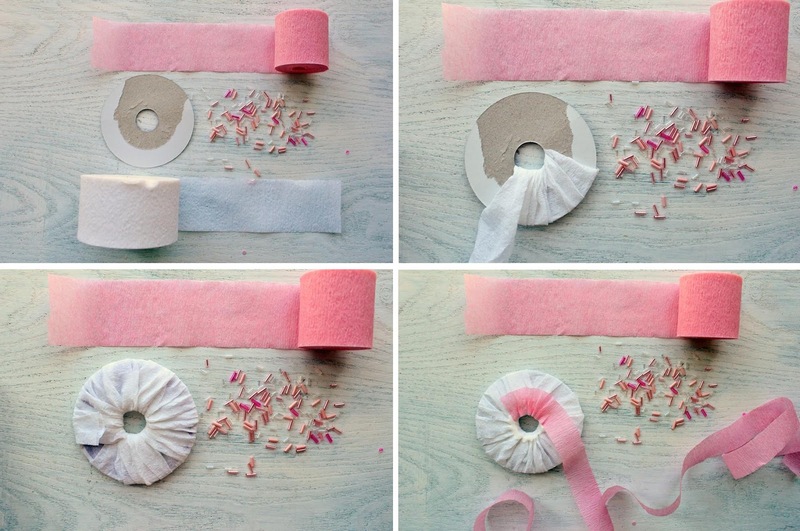 Take your pink crepe paper and cut it in half length wise so that is is a skinnier piece. 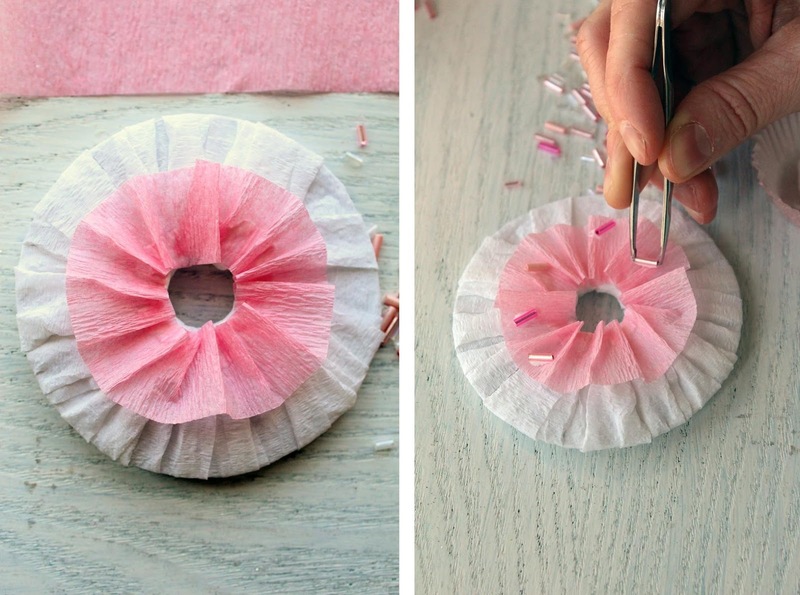 Put a circle of glue around the hole in the ribbon top and begin to ruffle your pink crepe paper, until you have gone all the way around. 3. Now it is time to add those sprinkles!! Fill a mini cupcake liner with glue and use tweezers to pick up the bead, dip them in the glue then place them where you would like to on your 'pink frosting'. 4. The simplest way we found to string and hang the garland was by using a skinny piece of white ribbon, looped and glued onto the top of the back of the donut. This way you can string your satin ribbon easily through the loops. There you have it a perfectly delicious donut garland! Another too-cute project from you super-creative ladies! thank you ladies so much! !